The late Dennis Ng (1968-2012) was the author of Mastering Your Personal Finance – a bestseller in Popular and Kinokuniya bookstores. He was an Accountant by training and a Certified Financial Planner with 16 years of banking experience in loans. 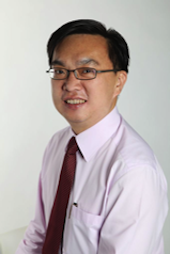 He founded www.HousingLoanSG.com – a leading Mortgage Consultancy in Singapore in 2003. He was a regular contributor to magazines and newspapers such as Business Times, Straits Times, TODAY, The Edge, Home & DÃ©cor, My Paper, Lianhe Zaobao and Lianhe Wanbao. He was also frequently invited to speak on financial topics by various organisations such as: Monetary Authority of Singapore (MAS), Central Provident Fund (CPF), Ministry of Defence (MINDEF), Ministry of Home Affairs, Inland Revenue Authority of Singapore (IRAS), Singapore Management University (SMU), National University of Singapore (NUS), Nanyang Polytechnic, Nanyang Technological University (NTU), Defence Science and Technology Agency (DSTA) and Bank of East Asia. He had co-hosted a weekly “Live” Radio Talk show with Most Popular DJ Wang Lee Jeng on 95.8 FM for more than 2 years from 2003 to 2005. Since 8 January 2008, Dennis had been the columnist of a fortnightly Personal Finance column in My Paper.